I have been on a smoothie kick of late. Being a Produce Manager I am handling fresh fruit 40 plus hours a week so thinking about what I can make with it is always on my mind. 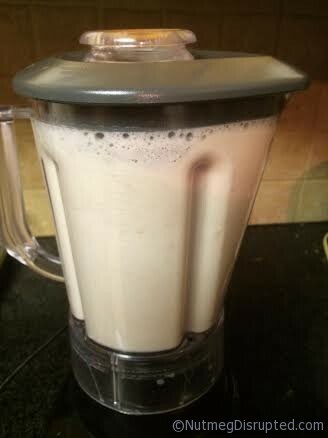 In an effort to be healthier I have been using Almond milk in said smoothies. Then one day on my Instagram feed I noticed a shot of a fabulous glass of milk, made from almonds. Instantly intrigued I knew I had to make some. Try it once, you’ll never go back to store bought. 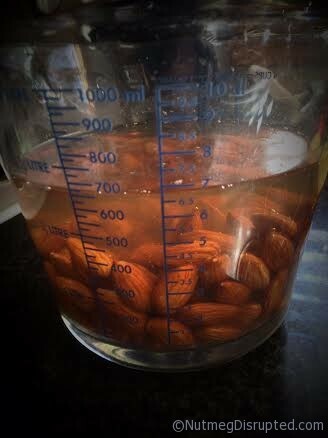 Cover the almonds with water and let soak for 10 hours. After 10 hours strain and rinse. Place them in a blender with 3-4 cups of water and a squirt of maple syrup. Blend on high for 4 minutes. Let settle for a minute then blend again for 2 minutes. 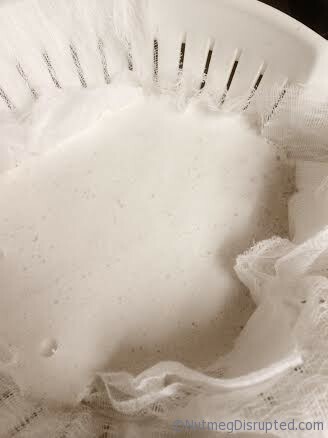 Pour into a cheesecloth lined colander that is placed over a bowl. After a few minutes gather up the cheese cloth and squeeze it well getting every last bit of the milk. 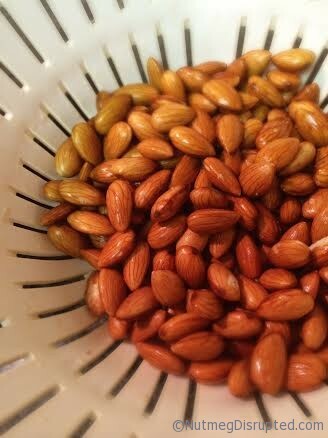 Place the ground almonds in a bowl and set aside. 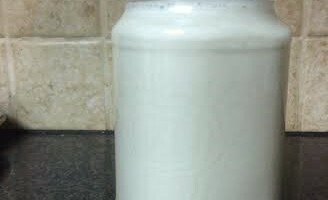 Pour the milk into a mason jar, cover and refrigerate. Use anywhere you would use milk. I have made 4 batches in the past week. The cool thing is you can control the thickness of the finished product. For my first batch I used 3 glasses of water. After a night in the fridge it was a thick luxurious cream, very much like a 35% cream. I poured some into a glass to drink, it was almost sinful. The next batch I used the full 4 glasses of water. It was like regular milk. Both amazing! When you make some I suggest trying it both ways. I used maple syrup to sweeten it but you can have a few options here. I have read of honey or dates being used. Play with the ingredients until you find what you prefer to use. Your almond milk should last 4 days. Now back to the ground almond meal we set aside earlier. Not wanting to throw it out I am working on different ways to use it up. I spread it out on a parchment lined cookie sheet and popped it into a 225 degree oven to dry. I kept it low and slow as to not burn it. 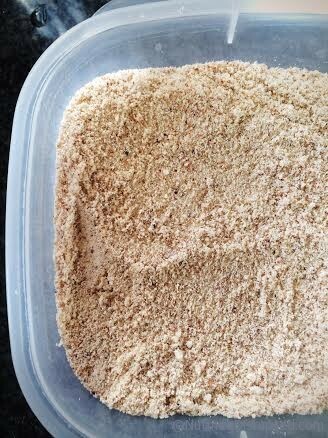 Once dried I put it into the blender and ground it into a flour.